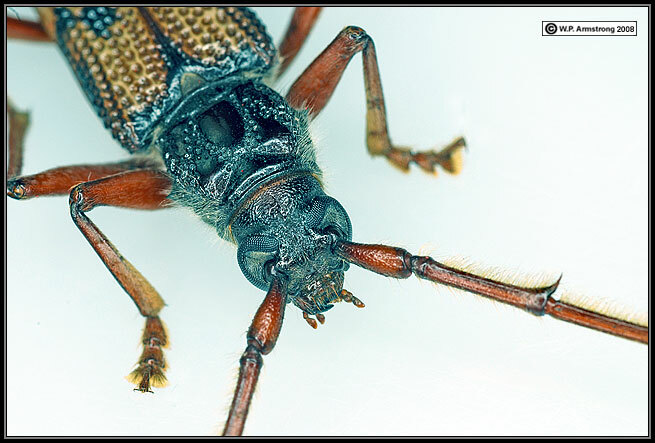 Phoracantha recurva, a long-horned wood-boring beetle introduced into southern California from Australia. 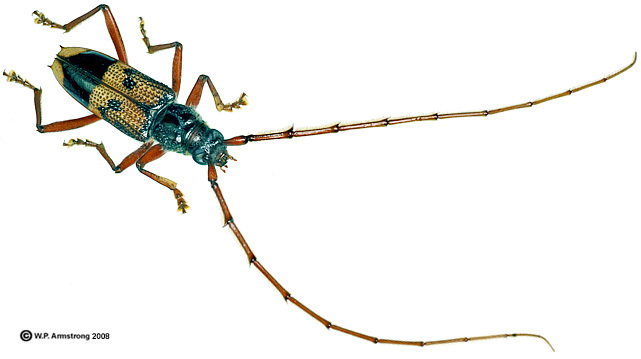 According to A. V. Evans and J. N. Hogue (Field Guide to Beetles of California, 2006), it was first discovered at the University of California at Riverside in 1995. The antennae are covered with dense, golden hairs. Another closely related species (P. semipunctata) without hairy antennae was found in 1984 on dying eucalyptus trees in Orange County. The larvae of both species tunnel between the bark and wood of Eucalyptus, but construct their pupal chambers in the heartwood. Adult beetles are attracted to fallen branches and injured or water-stressed trees. 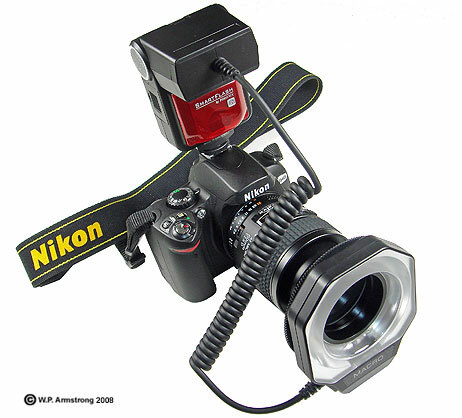 Nikkor macro lens using a Phoenix RF46N ring flash. Settings: F-22 at 1/200th, ISO 200. Borror, D.J. and D.M. DeLong. 1964. An Inroduction To The Study of Insects. Holt, Reinhart and Winston, New York. Evans, A.V. and J.N. Hogue. 2006. Field Guide to Beetles of California. University of California Press, Berkeley, California. Evans, A.V. and J.N. Hogue. 2004. Introduction to California Beetles. University of California Press, Berkeley, California. Hogue, C.L. 1993. Insects of the Los Angeles Basin. Natural History Museum of Los Angeles County.